Somali Family. 2006. Clarkston, Georgia. The slower pace of work with this camera created a more collaborative process; and the polaroid film I used allowed for a transaction. I could give the subject the positive and keep the negative for myself. 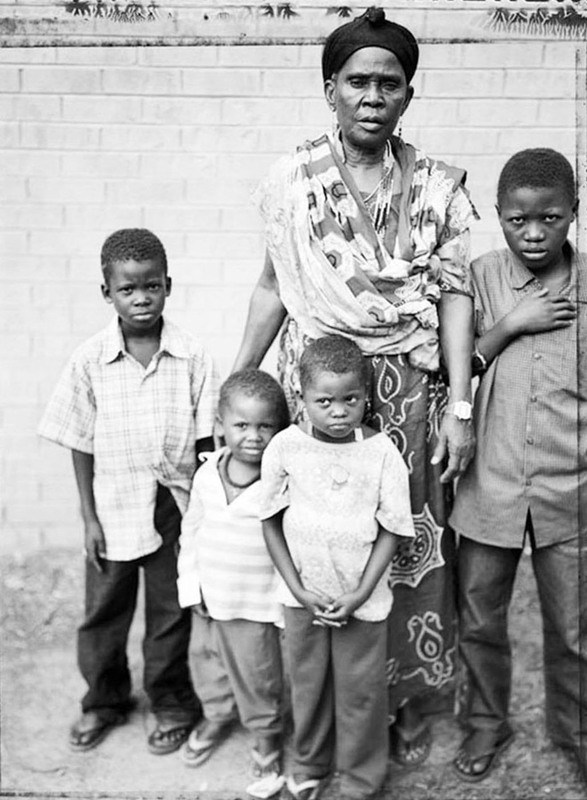 In the first visits of 2006, neighbors, friends, and children from Arbaiâs complex began lining up for portraits. Almost none of them had family photos and for many it was the first time they had their pictures taken.